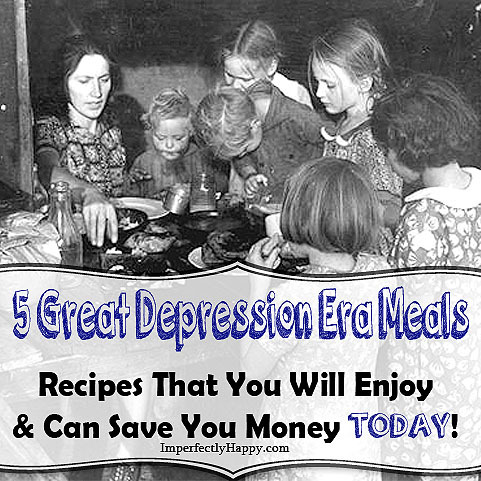 Great Depression Meals, make them today, enjoy and save yourself money. During the economic depression of the 1930s people learned to make food and a buck stretch. You might be surprised to know that there are some meals that you can still make today. These meals aren’t ketchup sandwiches but truly tasty menus that will still help you stretch a budget. I remember my dad making chipped beef on toast. His family was hit hard during those times and meals like that were passed down through time. I swear my grandma could make plain ‘ol beans taste like Heaven. I hope you find a recipe or two that you remember or want to make. Ham Hocks & Beans – Not just a great Southern recipe but one that you can make on the cheap. We always served this with warm corn bread. This mean is even better the next day! Chipped Beef on Toast – I have to tell you my dad called this Sh*t on a Shingle; didn’t sound too appetizing like that. But this is a tasty meal that is very filling. Pair with with a veggie from the garden for a full meal. *You can make this with cooked ground beef or bacon instead of the chipped dried beef. Warm Rice with Milk & Sugar – I didn’t learn about this one until I was living in Kansas back in the early 90s. It is a filling breakfast and quick to make up. It goes a long way. I preferred it with rice from the night before. No real measurements here. Combine ingredients in a bowl and enjoy like you would oatmeal or cream of wheat. Potato Pancakes – this is something I remember my other grandmother making and talking about them from her childhood. Meat was not always around and certainly not always affordable. Potatoes were easy to grow and affordable to buy. There are lots of potato Great Depression meals. I like the mashed potato version. You can certainly put spices or herbs in the batter to make them more savory and flavorful. Hoover Stew – I have seen many variations of this Depression Era “stew” so don’t be married to the ingredients. 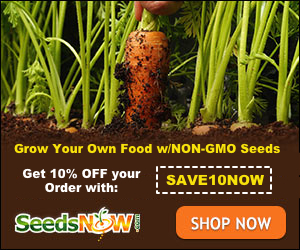 You can substitute using what you have in the house or garden already. If you don’t use canned veggies you will want to reserve some of the pasta water for cooking the stew. Want more? Here are some links I think you’ll enjoy! Food Storage Moms – Great Depression Meals-Are We Eating The Same Meals Today? The Survival Mom – Could Your Stomach These Great Depression Meals? (I add about 3/4 pound of shredded cheddar cheese) stir all ingredients together and bake in 9×13 baking dish for 30-45 minutes. Serves six hungry adults. You can add 2 cups peas, mixed vegetables or corn (my favorite). What temperature do you baked this at? Thank you. Oh my goodness do I remember warm rice for b’fast… we just loved it ! My mom would put raisins in & a sprinkle of cinnamon. I always made this for my kids too… such a nice change from eggs. We didn’t grow up with boxed cereal and I never gave my kids cold boxed cereal, just nothing to it, isn’t good for them and it doesn’t hold off hunger as well as a good wholesome meal. My dad loved chipped beef… but ours was always made with ground beef.. another meal that my husband & kids loved too. Beans … oh my gosh, everyway you can imagine & another favorite of my family too. I just found this page while searching for frugal recipes. I’m almost 53, so not a depression-era person. Growing up, we always had rice with milk and sugar, eating it like cereal. I was 19 years old before I realized people ate it for dinner as a side dish! I was out for dinner with friends in college, and they looked at me like I had three heads when I sprinkled sugar on my rice. I thought they were insane when they just ate it as it was served! I grew up on a farm, so we grew most of our food. I grew up on these meals! And so did my kids, we still enjoy them. Growing up in Wisconsin, we would frequently have rice and milk for lunch, but with maple syrup. We had a mess of maple trees around our property and my dad would tap them every spring to make syrup. I also grew up with potato pancakes. It was one of the staples at my church’s annual pancake and sausage supper. The only difference was using raw grated potatoes instead of mashed potatoes. They cooked up just fine and gives the pancakes a different, but good, texture. Again, with that maple syrup. I occasionally take them for breakfast at the school where I teach. My students get a kick out of the idea of potato pancakes and want to try them. I now live in Honduras, been here for 25 years. Red beans are a staple. My wife will cook up the beans with beef, often ribs or another cheap cut with bone. You let it cook in the beans until the meat wants to fall off the bone. Then she might throw in something like potatoes or green bananas. This is usually a Sunday lunch in my house. Do you perhaps have a version using the Instant Pot for these dishes? I just got one and am still learning how to use it. I don’t, but that’s a great idea. This is really interesting – some of these sound so strange but as an Irish woman I completely recognise at least two – #4 is an Irish speciality called boxty! Delicious. Must’ve been an immigrant dish. #3 is a kind of adaptation of classic British (and Irish) dessert called rice pudding but usually the rice would be cooked from scratch in the milk and sugar making a kind of custard. Very rich and creamy. My Nan made rice pudding at least once a week. We would stir in a teaspoon of jam to add to the flavor. I remember chipped beef but also had creamed tuna on toast. A can of tuna packed in oil back then, hard boiled eggs chopped, and can peas in a milk gravy and served on toast. I loved it. I was just thinking about it the other day. I absolutely love these ideas, I remember many of them, and I very much appreciate your reminding me of these simple but delicious meals!! God bless you! With the ham hock and beans, you need to add some cumin, to give it some flavor. Probably about 1 tsp of the seeds should doit. I grew up in the 1950s in the USAF and my dad and mom made S O S as well as something. My dad called target paste and peas, that is creamed tuna and peas! My grandmother made that for me over pasta or rice! Spam and eggs. Macaroni and cheese with Spam. We have 6 kids, and everyone loves it. Cheap, Cheap, Cheap. For the potatoe pancakes I use finely diced onion, and turnip to add extra flavour. My mom and my gramma did it and so do my daughter and son. I usually put some leftover turnip in ice cube tray then transfer it to freezer bags. When I am ready to make the pancakes I simply take out one cube for pancake. This notion of there being any “leftover” mashed potatoes always makes me smile, even more so during the Great Depression. Surely they were so darned hungry that there was never any food left over!? Nice piece though, sometimes the simple meals are the best.